Rainier is Laharl's worst enemy!? 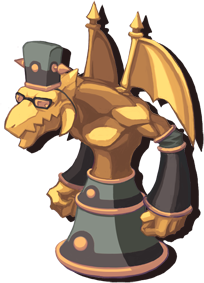 Born from a treasure hunting family, and boasts the best searching ability in all of the Netherworld. 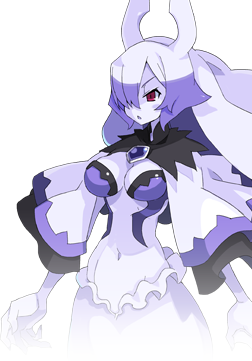 She used to search for treasures in the Netherworld in order get taken in by Overlord Krichevskoy. She claims to have taken care of Laharl when he was younger but no one knows if this is true. She has a tomboyish feel to her but she's actually very susceptable to kind words. 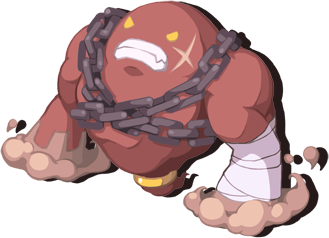 Diagnosed with Evil Eye Exaggeration Syndrom, he always claims to be consealing within his left arm the powers of a majin. He is really bossy and boasts of his immensely powerful spells but he actually has no talent in casting spells. He calls him self the Obsidian Wing destroyer but to this day no one has seen those wings of his. He is a demon who claimed to have worked for Krichevskoy as an officer. He strongly opposes Laharl's overlordhood and is looking for a new overlord candidate. Idealy he wants an overlord who he could control and actually admires having control from behind the scenes. He's actually married and has a kid. His wife makes him work hard. That's not nice. Have you really forgotten about me? I used to take care of you when you were a baby, you know? A demon who used to work for Krichevskoy when Laharl was still a baby. 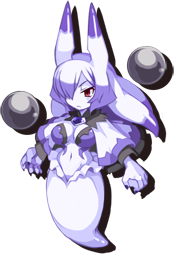 She claims to have personally taken care of Laharl. One of her biggest characteristics is how she talks and amongst the Krichevskoy group she has the worst mouth. He is a demon who claimed to have worked for Krichevskoy as an officer. He strongly opposes Laharl's overlordhood and is looking for a new overlord candidate. Idealy he wants an overlord who he could control and actually admires having control from behind the scenes. He's actually married and has a kid. His wife makes him work hard. 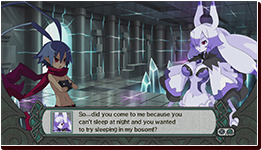 Rainier talks of Laharl when he was a baby. Laharl is dealt a lot of damage by Rainiers body act! !